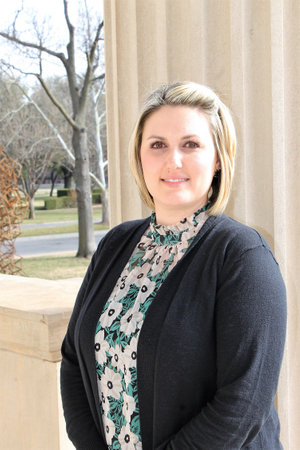 As director of special events, Lacey Trent is responsible for developing relationships with the community at large and those seeking to hold their special event at the Gaylord-Pickens Museum, home of the Oklahoma Hall of Fame. Lacey received her Bachelor of Science degree from the University of Central Oklahoma and began her work in Oklahoma nonprofits, specializing in membership and events. She has served in several advisory roles for her sorority, Alpha Xi Delta, and currently serves as the president of the Oklahoma City Alumnae Association. She is honored to have been selected as the 2019 Oklahoma City Panhellenic Woman of the Year for Alpha Xi Delta. Lacey, her husband Nathan, and their son Lawson live in south Oklahoma City with their two dogs. They enjoy spending time outdoors, living room dance parties, and family walks.